gath-er /‘gaTHer: Bring together and take in from scattered places or sources. 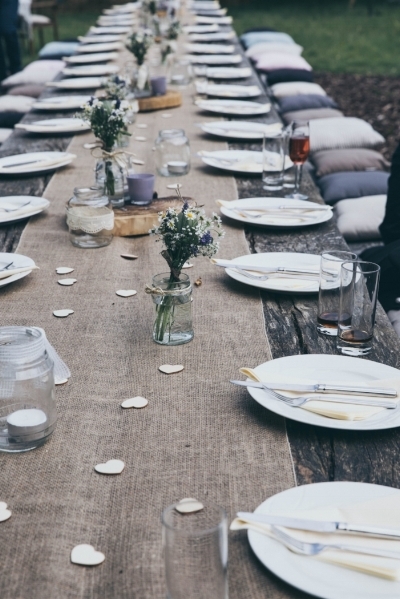 In the early church, coming together around a table of food and friends was not just an event; it was good theology. They understood that the love they shared through bread and wine and words was both natural and supernatural; human and divine. They knew that the space where food and friendship flowed was strong enough to hold not just their dogma, but their differences. Maybe it’s the tumultuous political climate in our country, but my heart is longing for a return to the common table. I am desperate for a place where I can be my truest self and engage with other true hearts in authenticity and gladness and gratitude. And I’m hopeful enough to believe that’s not a pipe dream; it’s the promise of those who are willing to risk loving and opening up seats at the table for good friends and new friends and not-yet-friends, believing that our common ground is greater than our brokenness. Throughout September, we will feature lots of posts about gathering. We’ll see the beauty of an “in-the-wild” dinner party, hosted by our friend, Hannah. Our contributors will share the many creative ways they've discovered for building an open table from Bend to Botswana. I’ll share some secret successes and frustrating failures from our ten-year tradition of weekly family dinner. Our Talk Tips series will take a short break to make room for Life Hacks - amazing tips for making your home (and heart!) a beautiful, peaceful sanctuary where many can gather. We'll peek in the window of a couple creating space in their lives to welcome and care for refugees. We've even commissioned a gorgeous print from artist Alicia Wellbourne, and we'll be giving it away all month. In short, September is going to be a GULLY WASHER of GATHERING GOODNESS! Join us, will you? Let’s lean in to this new season and learn from each other around all sorts of tables in all sorts of places. Let’s gather here around the broken bread and the poured out wine and the grace that enables us to enjoy it all.